My goal is to support as many leaders as I possibly can with creating the career, business and life of their dreams. I want give you the tools that empower you to reach your fullest potential and have fun along the way doing it! 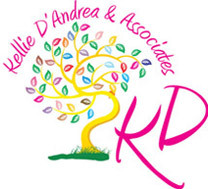 As founder and CEO of Kellie D’Andrea & Associates, a company devoted to helping high achievers grow their business, their careers and design their perfect lives. I have been fortunate to meet and support so many in my own journey and the lessons I have learned along the way are priceless. In my career in Corporate America, I was fortunate to reach the highest ranks of top executives before the age of 30.I worked for top software development companies, the 2nd largest transfer agent in the industry and one of the top facilities management & consulting companies serving large fortune 500 clients in retail. I have sat on numerous boards and committees and have authored numerous articles and hosted many training workshops. I have owned and sold my own businesses from an interior design and home improvement with my ex husband to a Carvel franchise and family bar. I have supported other business owners in building and growing a business to be sold for millions and I have an extensive real estate portfolio of rental properties that I started in my 20’s. My Personal Story… I was divorced and a single mother of a 3 year old when I got started over 20 years ago. I had $35.00 in my pocket, a large legal debt from the divorce and drive and desire to make a difference in mine and my daughter’s life. Hence my story began…. “I remember being alone with a toddler on my hip, no money, in the middle of a huge divorce and I haven’t worked for over three years since I was raising my daughter – you know …. What women were “suppose” to do. Now my fairytale was over and I had to figure out what to do. I had to take control of my life and design the life I wanted. The one I deserved, not the one I had to settle for. Fast forward 20 years and I can tell you. I had financial freedom within 12 months of that day. I never missed a dance recital, parent-teacher conference, play or school event. I was hired and promoted and promoted to Vice President/Controller within 2 years. I was hired away as Managing Director reporting directly to the CEO of a multi billion dollar financial services company. I was retained by three companies to build their growth strategies and position them for multi million dollar acquisitions. And… being told every moment that I couldn’t have it all. That I would have to make sacrifices and would have to settle! No Way! Not Me and definitely Not YOU! Let me show you how to make a real difference in your career, in your business and in your life. Send me an email at kellie@kelliedandrea.com and tell me how I can help. Kellie D’Andrea & Associates is a 100% virtual consulting company focused on building performance, enhancing outcomes and empowering business leaders to dream big, build big and share big with others. Our motto “Go Big of Go Home” Our focus is to help leaders just like you, become financially, emotionally and with certainty, free to make the choices that empower them to live their fullest lives to their fullest potential. To grow your existing business by increasing sales and profits. Our team focuses on helping you identify where you are and where you want to go and will assist you with building the roadmap to get there. But it’s not that easy….you have to do the work! What Are Some of Our Guiding Philosophies? Where there is a will, there is a way. We don’t believe in limited resources, only limits by our lack of resourcefulness. We strive to create an environment of innovation, creativity and collaboration. Women have a magic power. Call it intuition, call it a super power. We believe in trusting our gut and believing in that intuition. Taking risks when it feels right and passing on opportunities when it doesn’t. Only work with people who want to work with you. Life is too short to waste it on people who don’t treat you well. We like to work in a collaborate environment full of fun, energy and creativity. Bullies need not apply! We are vested in our customer’s success. We take pride with every testimonial, email and successful message from one of our customers. It is 100% why we do what we do. We love to pay it forward and help leaders and high achievers build their dreams. We love to give back. One of core missions is to help women in need. We are always finding ways to give back to the community of women through community projects, direct investments and mentorship programs. If you would like to get in touch with us, the best way is to use our contact form or send an email to info@kelliedandrea.com. We would love to hear from you for any inquiry. Contact us and one of our associates will get back to you within 48 hours.